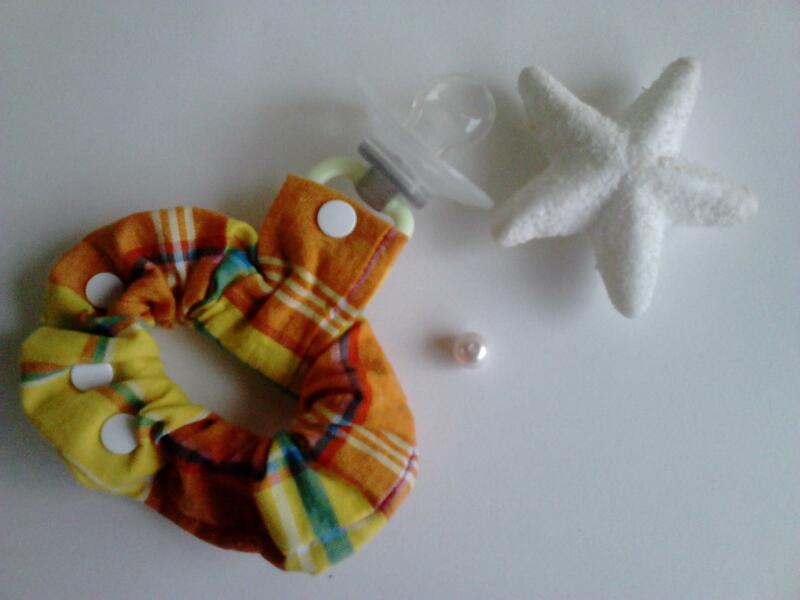 Pacifier clip in 100% cotton fabric, madras color and pattern for babies from 4 to 20 months. Adjustable size to the handle by kam buttons. . Delivered without the pacifierSold with the learning guide.